Technology is cool. 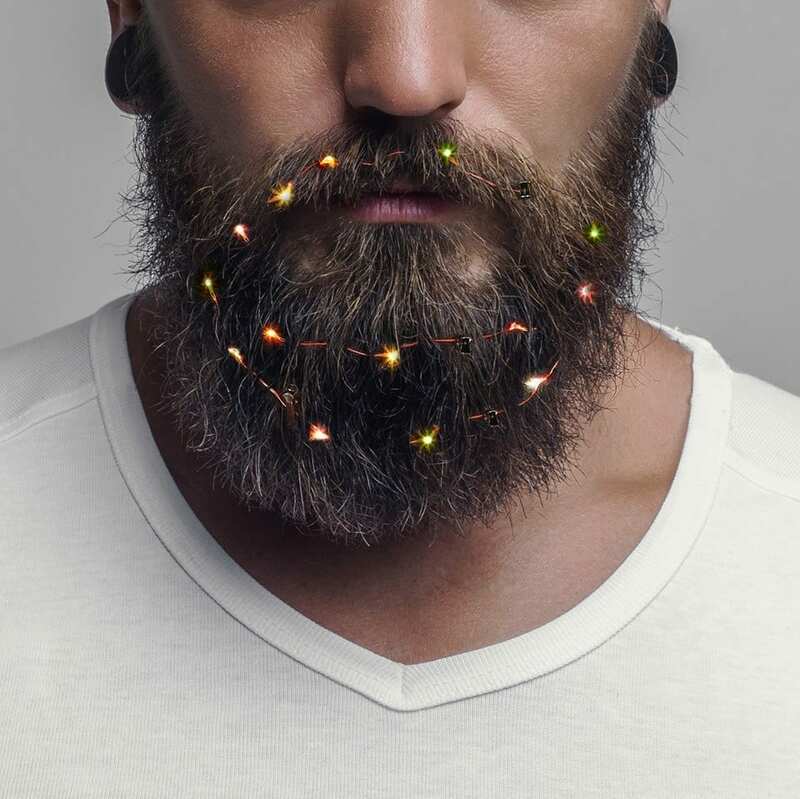 Now you don’t need a tree or even a structure to “light up” the season, you just need a beard! Firebox, an online company that offers unusual gifts is selling “Beard Lights.” It’s miniature lights for your beard which change colors and flash. It comes with a small battery pack that’s small enough to hide. It’s a great gift for someone who may not have space in their small apartment for a Christmas tree. Now THEY can be their own tree! The beard lights sell for $14.00. Yes, ornaments for your beard! Now you can literally BECOME the Christmas tree! Beardaments retail for only $10.00. You could get both for that hard to buy bearded member of your family and watch them morph into a walking, talking Christmas tree! Ladies, we didn’t forget about you. Beardaments can clip onto your hair. AND…Firebox also offers “hairlights” so you can celebrate right along with your bearded hubby, son, nephew etc. Hairlights retail for $14.00. Now there’s no reason not to enjoy the holidays!